Conservative ideas need the perspective of women. Conservative politics require women candidates and conservative thought benefits from the moral authority of women. These are the themes of the NeW National Conference, an organization that began its 12th annual gathering on June 22. Meeting for three days at the Heritage Foundation in Washington, D.C., the 20 speakers and hundreds of members of the group gathered to discuss conservatism in America and the impact of women on the movement. NeW stands for "Network of Enlightened Women," a group that started as a book club in 2004 at the University of Virginia. It expanded quickly, however, into a national group to empower young conservative college women in the United States. The group exists to give voice to conservative women on American campuses, and every year it awards young women who establish new chapters and publicize the network. A cultural divide about the concept of "safe spaces" could be heard at the conference. Some speakers and attendees described the network as creating a safe space for conservative women. Others, however, rejected the use of such language, claiming the idea of safe spaces was being used on American college campuses to repress conservative voices. 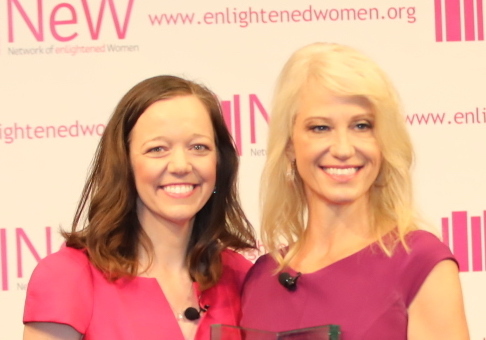 The founder and president of NeW, Karin Agness Lips, noted in her opening speech that the network exists to give conservative women the help they need. Leslie Hiner, vice president of programs at EdChoice, said that the parent knows best what is right for their children, and the good news is that now 30 states and the District of Columbia have some form of school choice. A strong supporter of charter schools, she told the story of a child with autism who performed better once she began attending a good charter school. The girl didn’t stay in the back of the classroom but now sits in the "middle of the classroom." Kristen Soltis Anderson, a television personality and author of The Selfie Vote, gave the conference a report on millennials. There are 75 million millennials in America today, she pointed out, and they are misrepresented by the media and misunderstood by other social cohorts. The older generations need to be able to understand the younger crowd. Millennials are very suspicious of breaking norms, she claimed, and they want "balance and empowerment." Urging young women to reject the word "feminism" as it is currently used, she noted that the good meanings of the word have been smothered by the radical left's attempts to force feminism into radicalism. The opening day of the conference saw a debate that exposed some of the divides that wrack the conservative movement. Syndicated columnist Mona Charen talked about the importance of families. As an institution, the American family is in crisis, and the drift of feminism into radical politics helped create that crisis. The problem with feminism today, she said, has to do with cultural and social norms rather than the economy or politics. Women need to find a form of "ambition to counter ambition," rejecting both the anti-male attitudes of the radical left and the vulgar oppression of women Donald Trump revealed during his campaign. Mercedes Schlapp, a Fox News contributor, did vote for Trump. Debating Charen, she explained that she had been a strong supporter of Trump and a strong opponent of Hillary Clinton. Trump is keeping his conservative promises, she claimed, and one proof was that he put a true conservative on the Supreme Court. He is trying to fix the failing system of medical care in America, and he is in favor of the new health care bill that will start to fix the problem. Even while the NeW speakers exposed some of the divisions in American conservatism, the strength and power of conservative women were on display. The necessity for women’s voices and women’s ideas was the unifying theme. UPDATE 6/26/2017: A prior version of this article erroneously stated that NeW is a subsidiary of Concerned Women for America. This entry was posted in Issues and tagged War on Women, Women. Bookmark the permalink. Faith Bottum is a 2017 summer intern at the Washington Free Beacon. 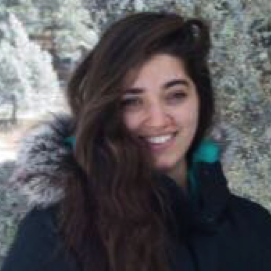 She is currently an engineering student at the South Dakota School of Mines. Her writing has appeared in such publications as Commonweal, the Weekly Standard, and Law & Liberty. She can be reached via Twitter at @faithika.